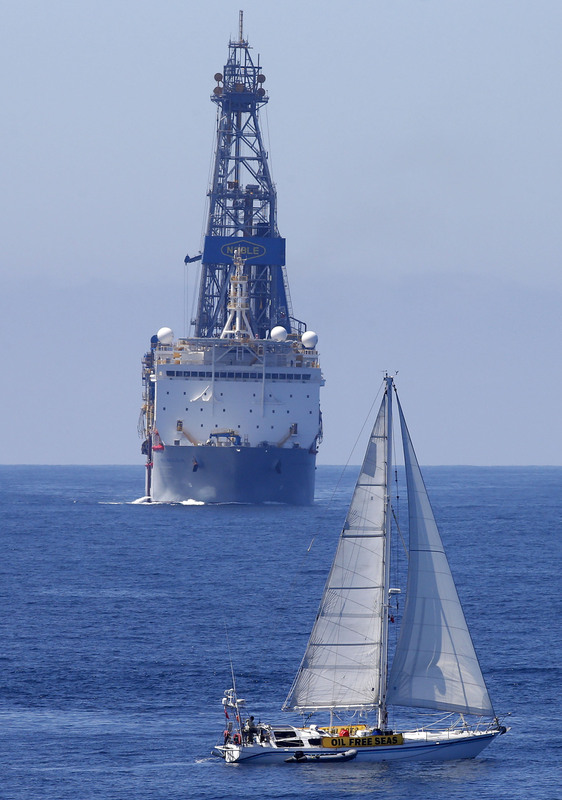 At 8:00 this evening, the Oil Free Otago Flotilla came face to face with Anadarko’s drillship, the Noble Bob Douglas. The yachts of the flotilla occupied the site where the Noble Bob Douglas intends to drill its exploratory well. Via radio, the Otago community leaders on board SV Tiama, voiced their opposition to the drilling plans to the captain of the drillship as it approached. The spokespeople represented a range of different groups within the Otago community. Each person spoke to their area of expertise, ranging from climate change to concerns for fisheries, but all came together to share a common message – Stop deep sea drilling off our coast. “My responsibility as Kaitiaki is to protect and enhance our Taonga. It’s not just about now, it’s about the future,” said Brendan Flack, Tangata Tiaki. The flotilla now intends to return back to Otago to bring their fight back to land. “This fight is not over. No matter how many closed-door meetings you have, or how far out to sea you go, we will be there every step of the way to oppose deep sea drilling,” said Niamh O’Flynn, spokesperson for Oil Free Otago. Photos and Video from the flotilla coming soon. HIP HIP HURAY FOR OIL FREE OTAGO.